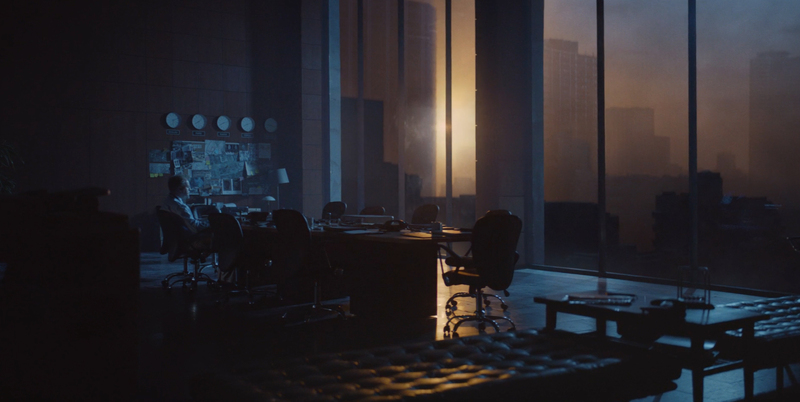 shots goes behind the scenes of Canal+'s latest cinematic spot, The Idea, with the director and CCO. Canal+ has just released a new campaign to promote its Canal+ Creates channel, and to use the vernacular, it's bloody brilliant. Inspired by the genesis of an idea, the epic film takes the viewer deep into the feverish workings of a screenwriter's brain, realised as a fiery asteroid zooming through the heavens, sucking up hundreds of props and characters into its orbit. 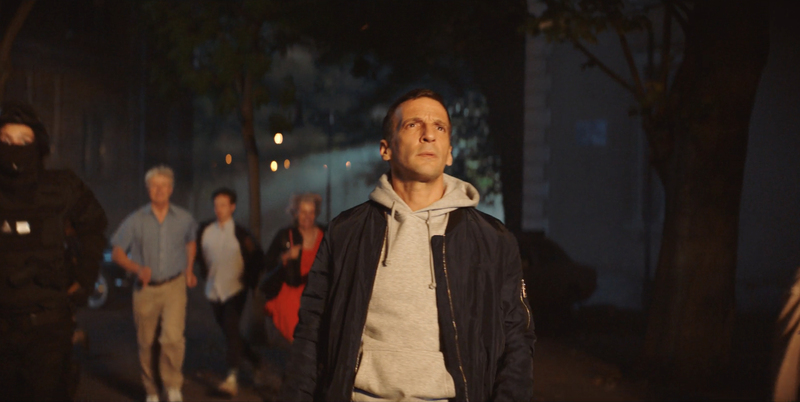 Below, we caught up with BETC's Stéphane Xiberras and Wanda director Ivan Grbovic, to find out more about shooting stunt performers into the sky via an enormous catapult, and the pressure to live up to the brand's strong creative heritage. What was the brief for the campaign? The aim is to highlight the new brand platform “CANAL+ CREATES'. We want to claim the extraordinary creativity of this pay channel, which really stands out from other channels in France and even platforms like Netflix. The film pays tribute to the talent of the CANAL+ screenwriters - how did you go about researching/imagining what goes on in a screenwriter's head? It is not the first time that we'ved explored the creativity of CANAL+’s screenwriters, we played with the theme for The Closet in 2009 and Unicorns in 2015. I absolutely didn’t want to do the same thing over again, but at the same time we really wanted to illustrate the genesis of an idea, which to my knowledge hasn’t been done before, and that was also the biggest challenge. We wanted an epic film to show the grandeur of the idea but something that still has a human feel. Hence the result: messy, chaotic and very French. 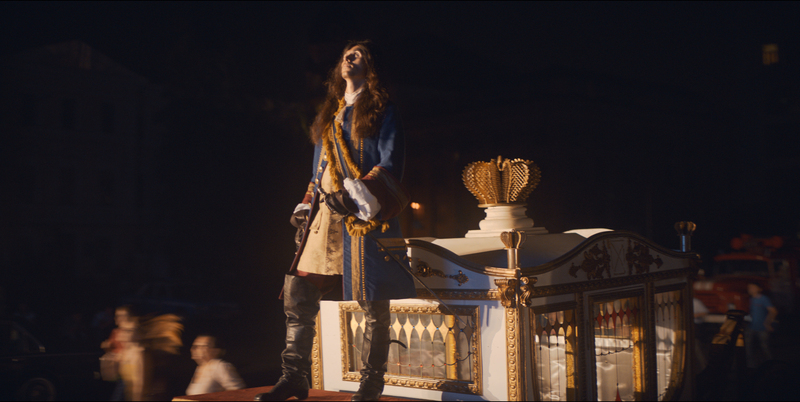 The film has the typically cinematic, blockbuster feel of a CANAL+ ad. Why was the right director to bring your creative vision to life? I worked with Ivan on a Ubisoft film (Far Cry Primal) and I really liked his energy. He loves adding little tiny details everywhere. It really was the perfect choice! BETC and CANAL+ have proved to be an incredibly successful creative partnership, is the pressure to match or exceed the previous campaigns sometimes tough to deal with? With Canal+ I really like playing around with different styles. In the past I’ve done a lot of funny ads, like The Bear or The Closet, or more recently Spitfire. So, sometimes people say things like “AiMen was great but it wasn’t as funny as The Bear," and that is certainly true, but for me, the real strategy we have for CANAL+ is to always surprise and to make something that’s never been seen before, regardless of the genre. This last opus won’t have you in stitches but it does show something that at least I hadn’t seen before. What were the biggest challenges involved in putting this campaign together? My friends at CANAL+ immediately liked the concept of showing the genesis of an idea, inside the mind of a screenwriter. I must say they’re really cool with me because when they asked “it’s great but what will it look like?” I answered “no idea”. The choice of director was essential, Ivan is the one who brought the visual universe. Were there any ideas which you would have liked to include but couldn't from a budget/technical point of view? I would have liked more guest stars in the film. At the end you see Mathieu Kassowitz, who is a big star here in France and the main character of the series The Bureau, and that’s amazing. I would have loved more famous faces but it’s a bloody nightmare in regards to budget and agendas. What was your reaction on receiving the script? 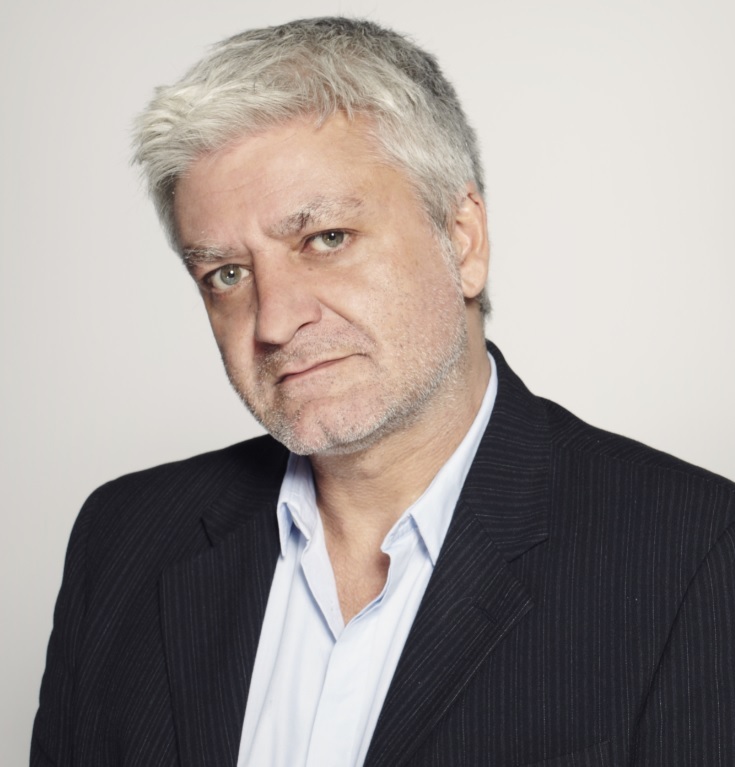 It was a mix of excitement, obviously, and also an immediate all-hands-on-deck reaction with Wanda executive producer, Claude Fayolle, to develop a convincing creative approach. Luckily, we had more time than usual to prepare (two weeks, unheard of nowadays) and it paid off, I think. I had a direct line with the BETC creative team, Remi Campet and Rayhaan Khodabux, and we were able to fine-tune the idea together and find solutions. In my book, a Canal+ brand campaign is the holy grail. The brand history speaks for itself, so the pressure was on. The film looks like it involved a huge cast, how much of a logistical challenge was that? Where was it shot and how long did the shoot take? The particular challenge of this shoot was the timing. Needless to say, a night shoot in summer is never easy. Couple that with August vacation schedules and an October air date. The choice wasn’t obvious - shoot earlier with a (really) short prep or shoot later with less post-production time. Romain Cavagnac, the head of production at Wanda, didn’t hesitate. "We need as much post-production time as possible!". His answer: Kiev, Ukraine and Wanda's partners there, Radioaktive Film. Where else can you prep such a huge job, but more importantly, in a such short time? We landed on the 22nd of July and were shooting ten days later- four days in all (a fifth day, with Mathieu Kassovitz, was shot early in September in Paris). We cast locally and elsewhere in Europe (Belgium and France). Matthew Clark, the first AD, was instrumental and lost his voice a couple of times corralling the extras (and myself). There are some incredible visual effects going on, how much of the ad was shot as live-action versus done in post? I’m a do-as-much-as-possible-on-set type of director. If we could do it for real, we did (for the most part). So we pushed the envelop on that front. Ilya Yurchishin, the stunt coordinator, and his team were stellar, to say the least. By his account, we built the largest wire rig in Ukraine history (120m x 20m) to catapult stunt performers off the ground. It felt like Cirque du Soleil on steroids. 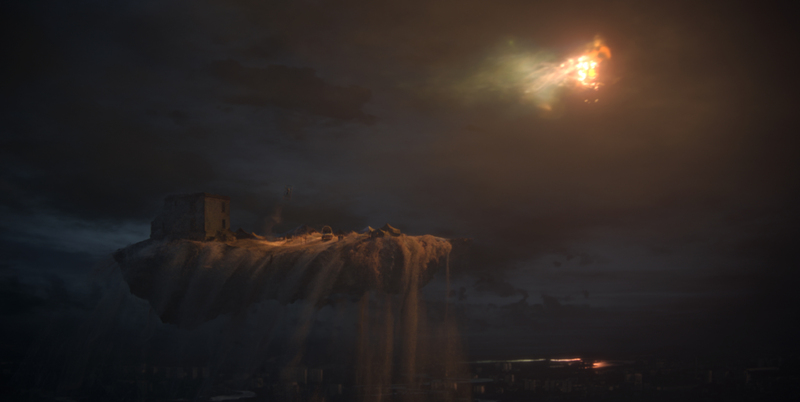 If you’re wondering if we flew a huge torch above the city to create the comet, we didn’t. Mikros handled the VFX, and they hit it out of the park. From R&D to completion, they were a vital creative partner. Concept artists spent weeks sketching comets and “inner-worlds”. 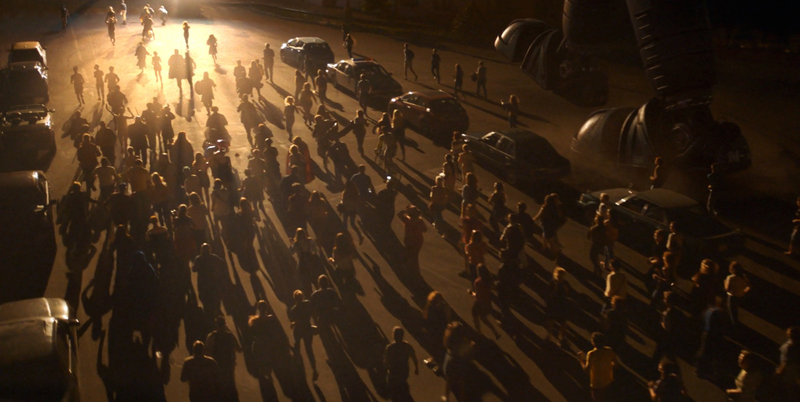 We wanted something dark, weird, and cinematic, but not fall into post-apocalyptic sci-fi or "distractingly original". That work was essential to align everyone's vision of the project before shooting any footage. 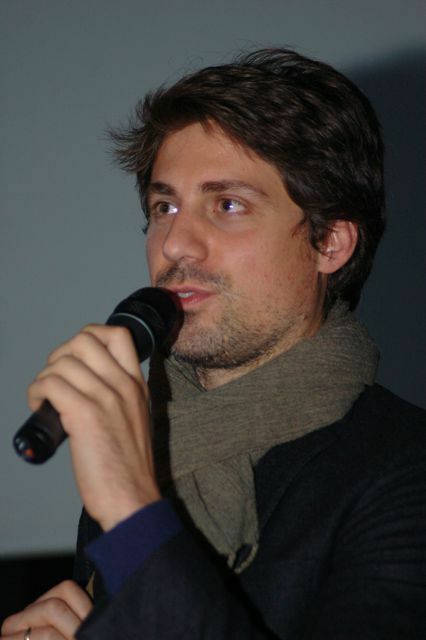 Mikros assembled a great team, headed by Laurent Creusot (the VFX supervisor). Yes, it’s an impressive amount of man hours, but more importantly, it’s their creativity and ideas that elevated the project. I can’t underline that enough. I feel that they made every day count. Kudos. Had you ever worked on a job this size before? It’s a hard one to answer (if you look at the numbers, yes). Personally, it’s never a question of job size but expectations. I could do a job that's perhaps less creative and far exceed expectations. But what’s harder, I think, is meeting or exceeding expectations when the bar is already set very high, and everyone’s watching. Yikes! What was the most difficult part of the job for you? And the most rewarding? I won’t hide the fact that my team made my life very easy. It sounds corny but it’s true. I was quite mellow for someone who’s usually running around on set. Shout out to Matias Boucard, the cinematographer, Alexandre Vivet, the production designer and Lionel Allouche, the costume designer. There were a lot of “we’re lucky to be doing this” moments on set. This project is rewarding for less-obvious reasons than you would think. In some way, it completes a first chapter with Wanda (of many I hope). We’ve worked hard to develop and nurture relationships (with BETC notably), build trust and choose (and yes, sometimes lose) the right projects. For that reason, this film is very satisfying. A couple of years ago, as we came out of a client PPM, Stephane Xiberras invited me for a quick beer. The first thing that he told me, “Now forget all that was said in there, go make your film.” Another way of saying: “Keep it fresh in your mind”. Indeed, it’s sometimes the hardest part of the job. Valuable words.